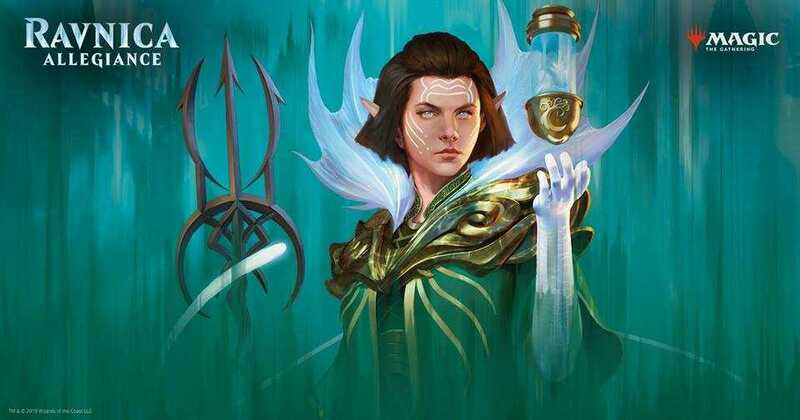 Join us for our weekly Sunday booster draft event for Magic: Gathering. This is a sanctioned event by Wizards of the Coast. All players, beginners and seasoned are welcome to come play. Entry for the event is $15.00, three boosters and prize support. All players must have a DCI card, which you can register for upon signing up. Please arrive 30 minutes early to register. The event lasts for four 45 minute rounds after drafting. In a booster draft, players are seated around a table and each player is given three booster packs. Each player opens a pack, selects a card from it and passes the remaining cards face down to his or her left. Each player then selects one of the remaining cards from the pack that was just passed to him or her, and passes the remaining cards to the left again. This continues until all of the cards are selected. The process is repeated with the second and third packs, except that the cards are passed to the right in the second pack. Players then build decks out of any cards that they selected during the drafting and add as many basic lands as they choose. Each deck built this way must have a minimum of 40 cards, including basic lands. Basic lands are provided. After deckbuilding, the players are randomly matched up against an opponent and play a best two out of three games match. Players are awarded points for winning and will be matched against equally skilled players in the subsequent rounds. At the end of the tournament, booster packs or store credit are rewarded to the top half of the players.